Phone.com doesn’t do many trade shows, usually just a few each year. When we do, they have to be awesome! No exception when it came time to exhibit at NYTechDay 2014 last week, a massive bazaar-like event held at Pier 92 in New York City. We were among 400-plus other tech and startup companies representing the who’s who of tech in the NYC area. Holding down the fort at our little Phone.com booth was our east-coast team of awesomeness, which included Customer Success Manager Jenny Dempsey, Developer Evangelist Peter Hogan-De Paul, CTO Alon Cohen, CMO Eric Lituchy, CEO Ari Rabban and myself. We pretty much had all bases covered when it came to answering questions! 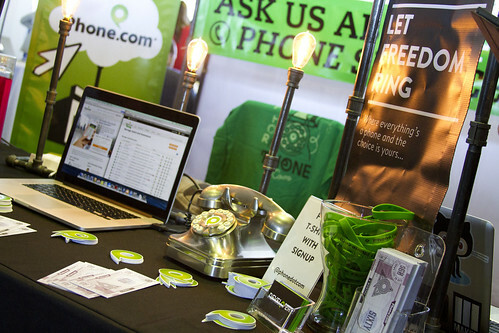 Besides giving away some great free phone service promotions to companies, we were there to showcase the new Phone.com SMS API, which is currently in beta. We also answered the old trade-show question, “So what do you do?” more times than any of us can count. It’s funny how even with a name like Phone.com, people still aren’t sure what kind of company we are! What I personally found most exciting about participating in such a large trade show, was discovering how many companies were already Phone.com customers! Obviously this means we’re doing something right, if forward-thinking high tech businesses are using Phone.com as their primary business phone company. Knowing we had friends in the crowd, our trusty Customer Service Manager Jenny went on a hunt to find Phone.com customers, and these were just a few she found. SHODOGG – Shodogg’s patented technology delivers universal connectivity and aggregated analytics among all your devices and screens. 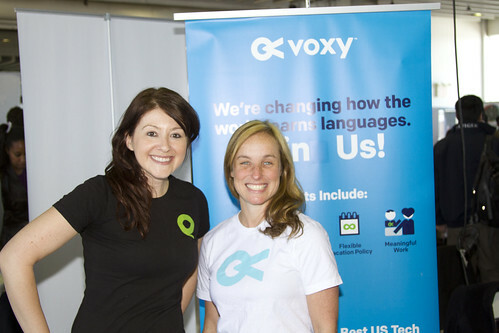 VOXY – is an online English language school that provides its users with personalized courses designed around each user’s goals, interests and expertise level. 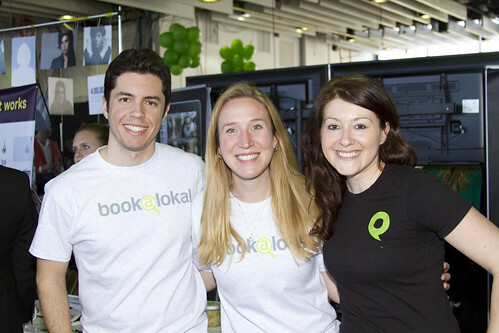 BOOKALOKAL – These guys are one of my favorites. They’re like an Airbnb for private dinners. Their aim is simple: to make it easy and safe to share an authentic meal with people anywhere in the world. Check them out next time you’re traveling and looking for a real home cooked dinner! 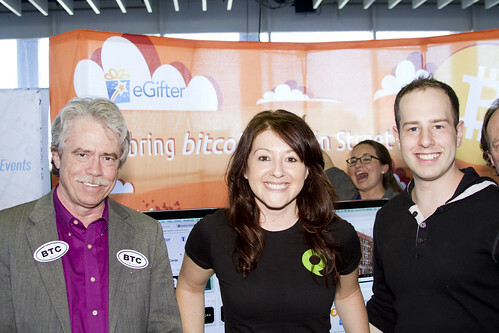 EGIFTER – These guys provide an easy and feature-rich tool to send online giftcards to friends and family. I just love learning about what Phone.com customers are doing! At the end of the day, communication powers business and I’m proud to say that Phone.com powers the communications for some very interesting companies. 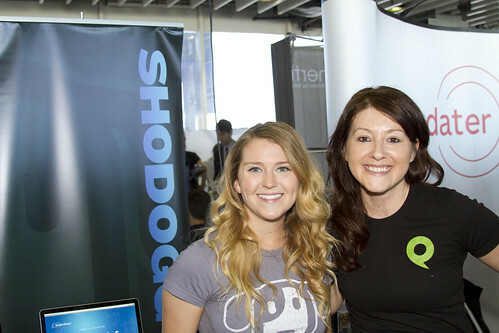 NYTechDay allows us to meet lots of great businesses, entrepreneurs, and it surprisingly helped us connect with some of our own customers. 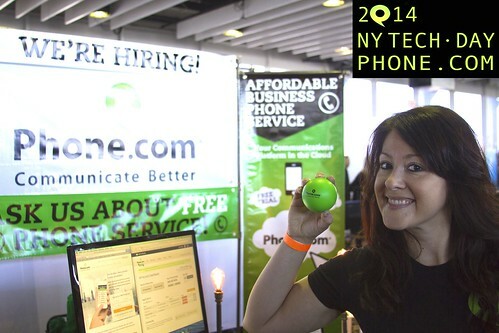 You can bet we’ll be at NYTechDay 2015!